From the latin both meaning 'homo' (the human) and the earth ('terra'), Humus bind Men with Nature, the ground with the city, the artifical with the organic. It is a landscape where we need to re-fertilize our spaces and bodies, where we try to communicate with other bio-organisms (biophilia) and include in our everyday life new forms of mindfulness, rituals and spirituality. Based on the interaction between the hand and the nature, new artisans and new farmers are emerging, with new tools and new cycles of sprouting, inspiring new architectures and activities for our mental, physical and emotional wellness. 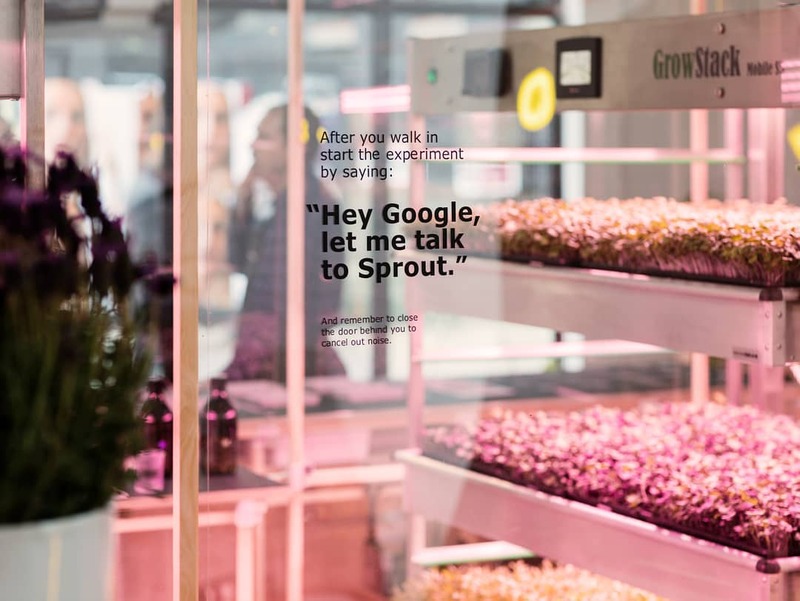 Sprout is a conversational interface developed to enable people to have a “dialogue” with their plants. Using biology, sensors and machine learning, Sprout makes it easier for us to grow plants hydroponically. This set of tools embodies three fundamental human activities as defined by philosopher Hannah Arendt, in an attempt to counter ‘earth-alienation’. 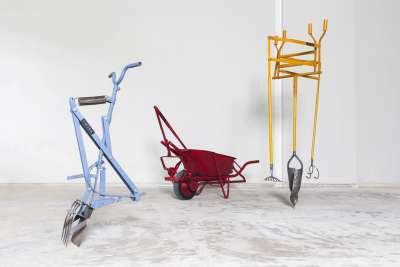 A wheelbarrow that throws out what was scooped up demonstrates ‘Labour’; the repetitive cycle of daily life. The shovel that compresses soil into blocks illustrates ‘Work’; our drive to create and to leave something behind. And the two-armed sand drill shows us ‘Action’; human collaboration and interaction – man can never exist alone. In/Out is a project by industrial designers Benjamin Schief and Judith Fassbender which invites us to improve our breathing and our sleep by different interactions with plants. Those plants needs the CO2 and the humidity that the user exhales, and provides the calming and relaxing effects of their presence. According to the 2017 Garden Trends Report, 37 percent of millennials and 28 percent of baby boomers growing herbs indoors. IBIS World forecast that indoor growing will jump an average of 6.3 percent per year each year through 2021. In its 2016 Life at Home survey, furniture maker Ikea reported that six in 10 people worldwide now grow vegetables and flowers indoors, with the balcony as the favorite green spot. WANT A FULL REPORT ?